DENVER -- After experiencing years of rapidly escalating rents, tenants in metro Denver are starting to catch a break. According to the Denver Metro Area Apartment Vacancy and Rent Survey, rents have dropped for the second consecutive quarter. The survey, by Ron L. Throupe, Ph.D. of the University of Denver Daniel's College of Business, and Jennifer L. Von Stroh of Colorado Economic and Management Associates, shows the average rent in metro Denver is now down to $1,456 and average vacancy is up to 5.8 percent. 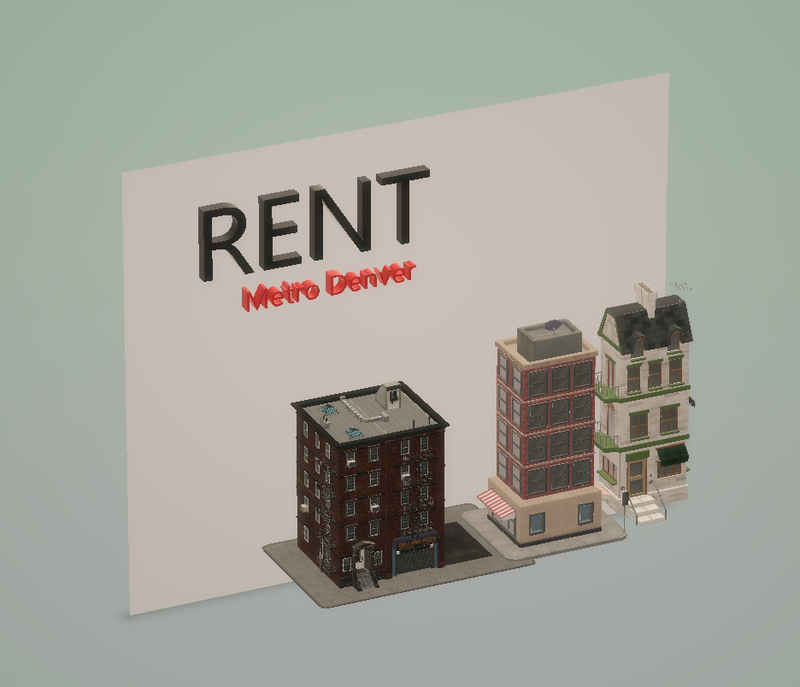 Teo Nicolais, an instructor at the Harvard Extension School, and the president and founder of Nicolais, LLC, a Denver real estate investment company, said rents are declining because more apartments are being built. Lots more. "When you have over 25,000 new apartment units added to the metro area, that creates a lot of supply that is hard to fill," Nicolais said. "That puts downward pressure on rents." He noted that Apartment Insights, a real estate research and consulting firm, estimates that 26,916 apartments are currently under construction in metro Denver, and that an additional 25,686 are in the planning stages. The survey's submarket-by-submarket breakdown shows there are still a wide range of rents in metro Denver. Nicolais said location, the age of the building and amenities all factor into the price of rent. The City Park area is the now the most expensive submarket with an average rent of $1,918. Nicolais says that's because there are many new upscale apartment buildings in the neighborhood. "They're new, they're high-end and they've got incredible amenities, and therefore, people are willing to pay a lot more to live in those units," he said. Kateline Guild recently moved to the City Park area from Myrtle Beach, South Carolina. She was shocked to find that rent is more than twice what she is paying for mortgage on her house in South Carolina. Still, she said it's worth it. "I looked at a lot of places," she said, "and honestly, the park is a huge draw for me...and the people here are amazing." Rents are just a tad bit lower in Northwest Denver, or the Highlands. The average rent there is $1,778. There are many new apartment buildings in the Highlands and a lot of places to hang out. The lowest average rents in the metro area are found in Wheat Ridge. According to the survey, the average rent is $1,133. "Wheat Ridge is one of my favorite markets," Nicolais said. "It's at the other end, in terms of rents and types of units." "There hasn't been any meaningful development in Wheat Ridge," he added, "so the apartments that you find tend to be older, smaller and have fewer amenities." "It's just cheaper," said Jennifer Roman, who moved to the metro area from Cañon City. "Denver is too expensive. This is one of the cheaper rents, that's why (my husband & I) live here." Roman said she has lived in Colorado since she was in 1st or 2nd grade, but is now considering moving. "I love it here," she said, "but it's getting too crowed. All you see is traffic." Nicolais said he expects rents will continue to drop and that the metro area will continue to grow. He said the economy is strong and many people are still moving to Denver. "The vacancy rate is 5.8 percent," he said, "but has been as high as 13.9 percent." "When vacancy is low for extended periods of time, that pushes rents up and gives developers incentives to build," he said. "When they overbuild, that leads to downward pressure on rent." He said developers will continue to build as long as people are moving to Denver.